Brazilian design and architecture has a reputation for being flamboyant, and this stylish family home by architect Livia Martins certainly lives up to the promise. This two-level home in Brazil offers a unique combination of contemporary minimalism and Brazilian sophistication. While minimalist interiors are often associated with subdued palettes, this is one home that has managed to combine a contemporary minimalism with a vibrant look all of its own. From the home bar to the beige kitchen and tartan-powered bedroom, there is an abundance of patterns and plenty of flair. But it's all contained or perhaps restrained by a strong grid-like design and a controlled palette. 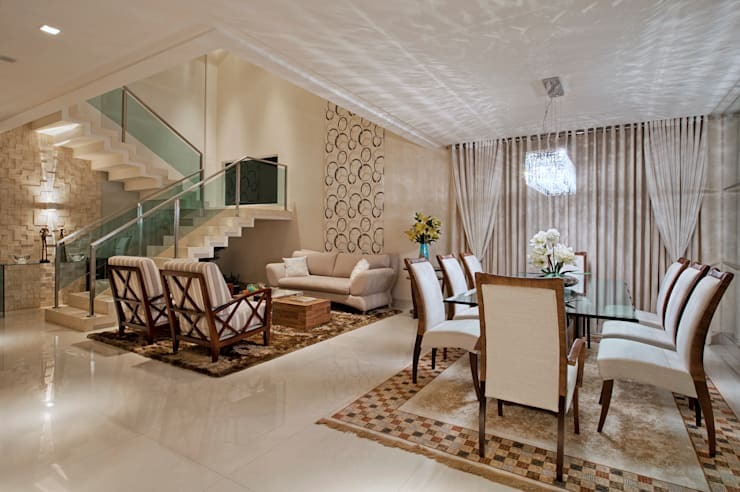 For the final sophisticated touch, vast expanses of glass and glossy finishes have been scattered throughout the home. To learn more, come with us on a tour where we will explore its features through a series of lovely photos. This lovely facade offers great combination of rectangular shapes. They have been stacked, spaced and lined up to provide a huge variety of interest. They have also been presented in a variety of materials, from the tall glass windows to the wooden panels above the door and the stone panels. What's interesting is how the grid-like design has been extended into the front garden landscaping and paving areas. It just goes to show that warmth, variety and interest can be created without a single curve or circle. Inside the home we are hit with a huge variety of patterns. There are two different rugs, geometric patterns on one wall, a chandelier throwing lines of line and circular artworks on another wall. But furniture is of the one style and has been arranged in a grid-like fashion. This is a living room with lots of activity and interest, but there's nothing chaotic about it. 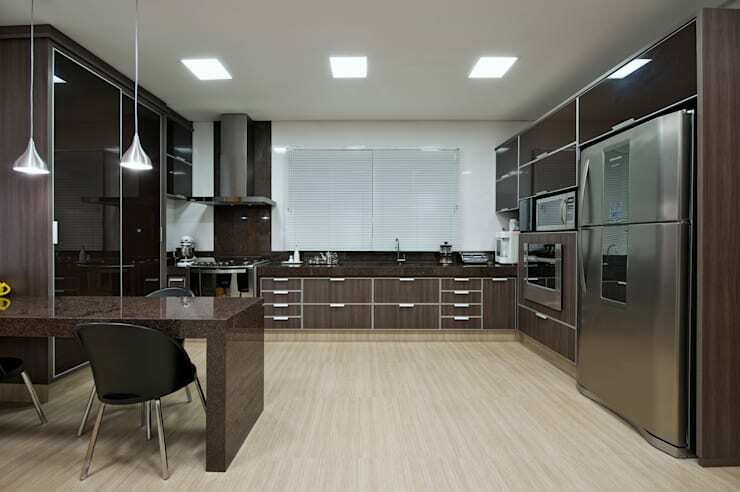 This large beige kitchen has a huge array of cabinetry to cover up every conceivable excuse for clutter. Large dark smoky sliding glass doors have been used to cover the pantry area and the end result is a kitchen with an incredibly streamlined look. When it's time for after-dinner drinks, why not retreat to the home bar? 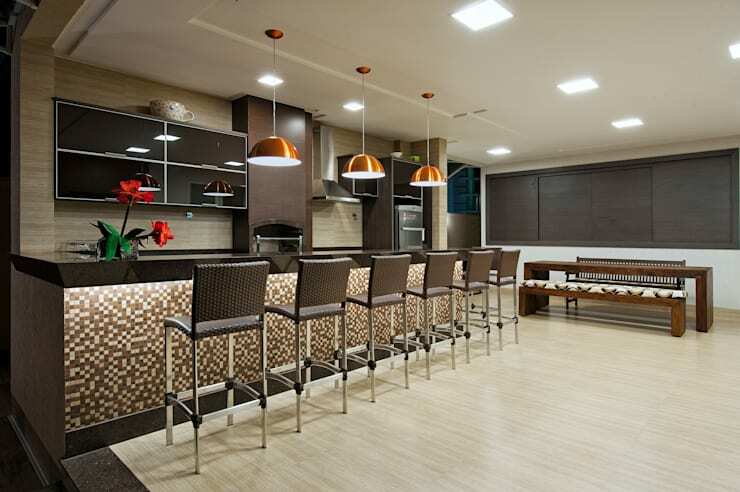 This home bar has been furnished in beige to continue the colour theme from the kitchen. A strip of LED lights has been installed under the bar. This lights up the small patterned tiles. For the final sophisticated touch, gold drop lights have been added. This could almost be a small bar in a glitzy hotel. This huge bathroom has two large basins, a large bathtub with spa jets and a huge glass shower screen to cover the shower for two. 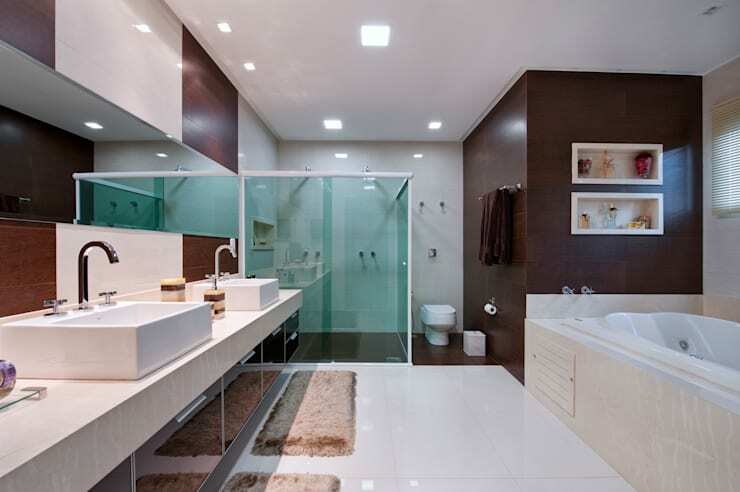 As is common with contemporary homes, the walk-in shower has no lip. The dark brown walls are interspersed with panels of cream. As in the rest of the home, these are presented as strong geometric blocks of colour. If you love tartan like this child obviously does, there's no reason to hold back. 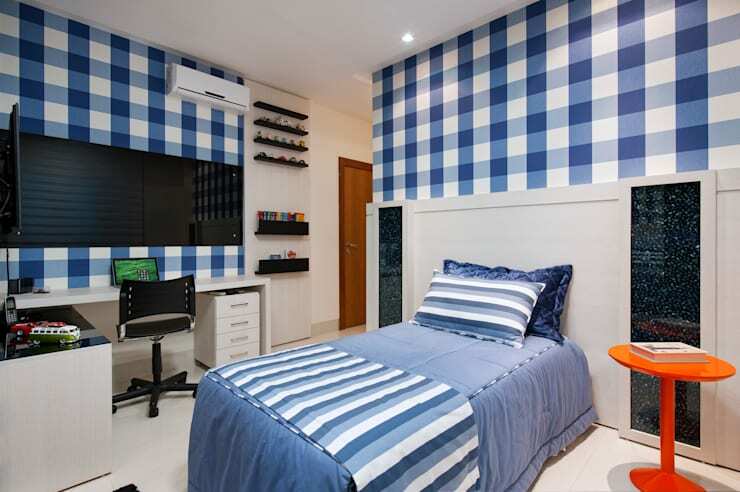 Blue and white tartan walls and matching bedding really define this room. It has personality and like the rest of this colourful home, there's just no stopping that! If you're a fan of Brazilian design, you'll love A Modish Apartment Pulsating with Life. 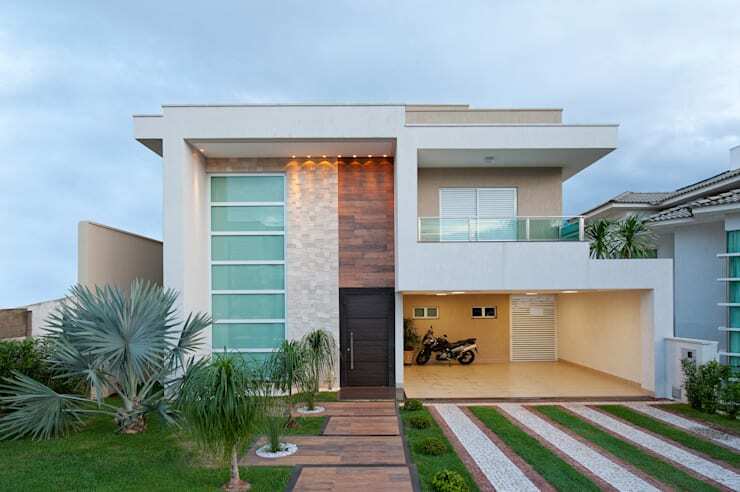 What do you think of this flamboyant Brazilian home? We'd love to hear in the comments below!